Yesterday, February 6, and could download the new update of the official Twitter app (version 5.3) for our devices. And this is probably the most version incorporating changes and improvements to the search or viewing of users tweets far. Get instant access to different content with improved search and "Discover" iPhone. "Discover" now displays a single line of tweets, trends, activities and accounts to follow. The search now shows a group of people, tweets and photos with greater relevance. 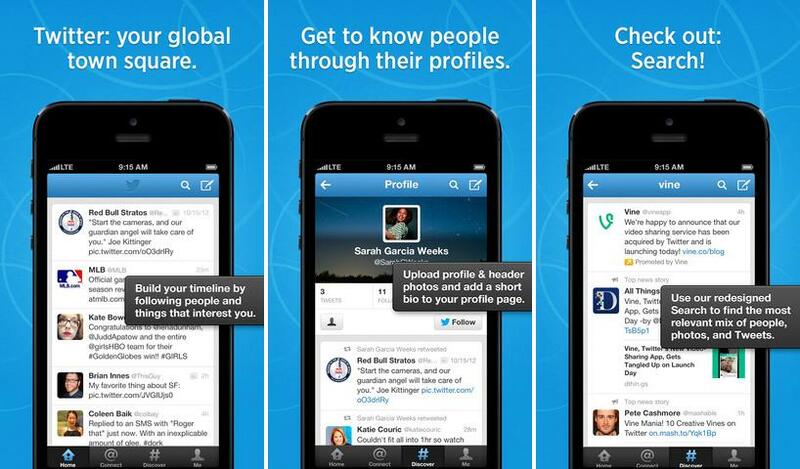 A new button on the top of the app now facilitates the search for tweets and users. You can view your last five searches and press on them to return to look for them or delete the history. The links open web pages instantly when you press on the URL. "Connect" sample interactions as new followers, retweets and mentions by default. Now you can change the setting to "" see only mentions "". Increased speed and application performance, especially for older iOS devices. Improved support for right to left languages ​​such as Arabic and Hebrew. In short, a highly recommended update if you are the person that you use Twitter over other options as Tweetbot or Tweetdeck. Do not expect to update it!